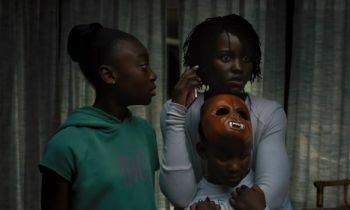 After returning to the beaches of Santa Cruz thirty-three years after a traumatic event, Adelaide Wilson (Lupita Nyong'o) reckons with her memories as her husband (Wilson Duke) and her two children (Evan Alex and Shahadi Wright Joseph) try to enjoy their holiday. However, their peace is cut short when a family that looks just like them appears in their driveway and begins to terrorise them. 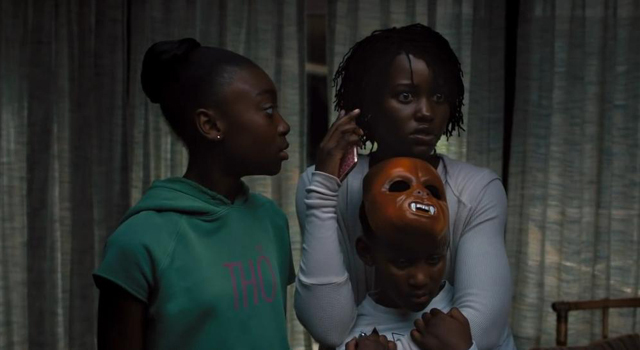 It really is a credit to both Jordan Peele and the marketing of 'Us' that so much of the movie is left out of trailers, teasers and any of the promotional material for it. We'll keep the same faith with this review, as it's best approached completely blind and with as little foreknowledge as possible. Ambiguity is something that 'Get Out' had in spades, only revealing itself in the third act when we see the true nature of what lies beneath the idyllic family's life. In 'Us', the ambiguity goes right out the window inside of 30 minutes, but that's only for the concept of what's happening. Instead, there's literally multiple readings you can take away from what 'Us' is about. Is it about materialism? Definitely evidence to support that. Is it also about buried trauma in the American psyche? Absolutely. Is there a message regarding class warfare? For sure. Is it just a straight-up horror? Yeah, if you want to just take that away, of course. There is undoubtedly a generous slice of thrills and horror in 'Us', and it is masterfully shocking as well. 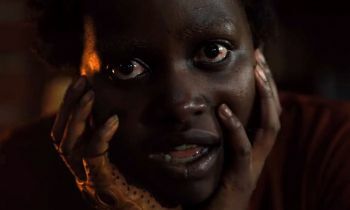 That Jordan Peele is able to counterbalance these moments with something important to say, and with inflections of humour and satire, speaks to how good a writer and director he is. 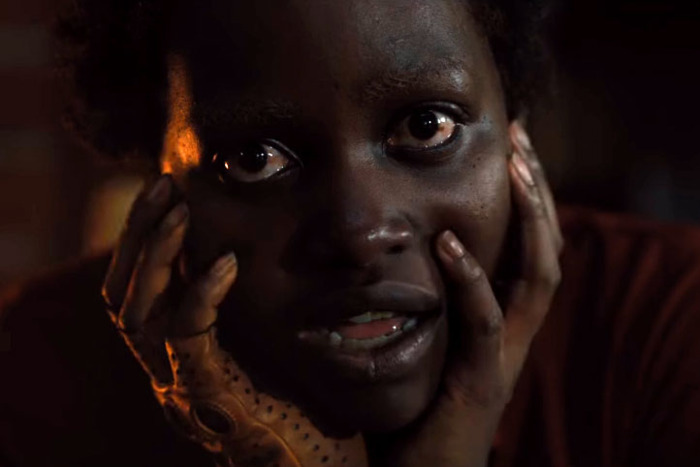 Lupita Nyong'o gives the performance of a lifetime, in both roles, with a depth of commitment and vibrancy that's truly compelling. Winston Duke, meanwhile, owns some of the comedic foil along with the on-screen children Evan Alex and Shahadi Wright Joseph. So, the question - is it better than 'Get Out' or not? It's a tough one to answer, primarily because they're so distinct from one another that trying to wrap it around a binary yes / no seems kind of redundant. It's definitely different to 'Get Out', that's for sure, and you can tell that Peele now feels more confident and assured in taking risks and saying something unique and original. That alone is worth the price of a ticket. Will it have the same impact, culturally, as 'Get Out' did? It certainly should, because there's so much in 'Us' that needs saying, and needs to come to the surface. If there's a complaint against 'Us', it's that it doesn't have the same level of sharpness that 'Get Out' had. 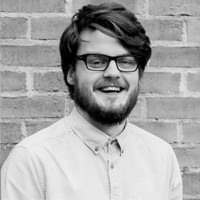 There's a few moments where it does begin to wind itself up and become a little too self-congratulatory, but when it's this smart and subversive, who cares? It's allowed. By equal measure shocking, smart, sophisticated and stunning, 'Us' is a bold and uncompromising entry into the canon of modern horror.